Whether organized through school or practiced individually, sports offer many benefits for children at any age. However, still-developing bodies can also be more prone to injury. Broken bones, repetitive motion injuries and putting too much stress on joints at too young an age can lead to alignment problems, pain and other issues that won’t become apparent until later in life, such as arthritis. The key to safe sporting begins with prevention and regular visits to a New York sports physical therapy center. Here are five things you can do as a parent or coach to make sure your young athletes remain competitive in a safe way. When kids are participating in contact sports or those with a high incidence of injuries, like football, soccer and basketball, we all know that protective equipment is essential. However, you shouldn’t overlook the the importance of choosing the right shoe for the type of sport and wraps or braces to prevent repetitive motion injuries or joint strain. You should also make sure that the protective equipment fits properly and is designed especially for use in that particular sport or for the specific body part. It’s easy for parents and children to get caught up in competitiveness or to push a particularly talented athlete to succeed. However, putting too much emphasis on winning or over-training can lead to physical problems as well as mental stress and burnout. Wanting your child to succeed is one thing, but activity should be more child-directed than parent or coach enforced. Try to develop a good working relationship with your child’s coaches or instructors, and talk to your child to make sure they know they can come to you if there’s a problem. 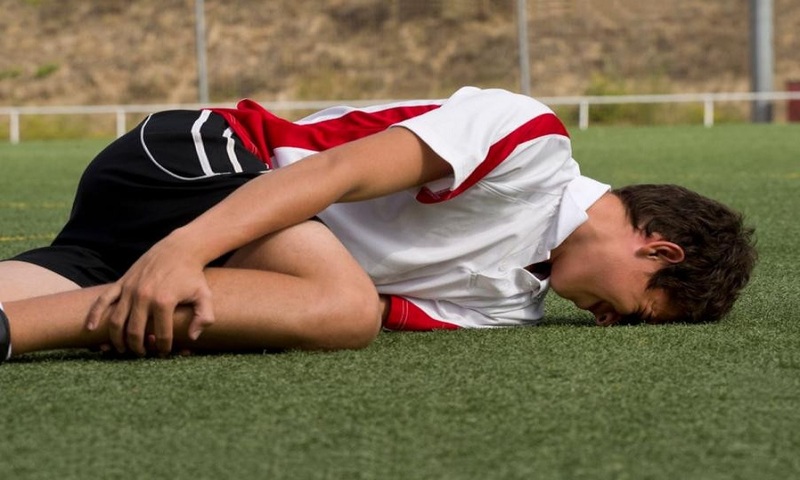 Some of the most common injuries in child or adult athletes are repetitive motion injuries. Proper form and practice are important for developing skills and creating muscle memory, but they can also lead to chronic pain and permanent injury. Take time out from purpose-driven skill building with activities like cross-training that develop strength and stamina in other areas. This is another side of pushing, but it is more centered on the passion of the athlete rather than from outside pressure to perform. When someone is particularly passionate about a sport or skill, it can become an obsession that affects other areas as well as leading to burnout or permanent injury. Make sure that your child develops non-sports interests and goals to some extent. Down-time away from training and adequate rest can help clear the mind and prevent undue physical strain. Proper nutrition is essential for growing bodies, too, so try to stay away from excessive training diets or shortcuts that can lead to health problems or eating disorders. Even if a child is a serious contender who has the potential to go pro, fun is still an important element in sports participation. Look for signs that your child is pushing him or herself too hard. When life is all about training to the exclusion of everything else, it can cause physical as well as emotional issues. Plus, what’s the point of participation if your child finds no joy in what they’re doing?